Natural Henna Products are widely appreciated for several properties like antifungal, antiseptic and antibacterial. 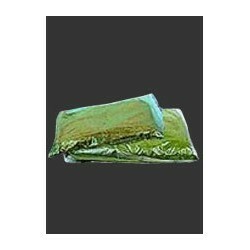 These are widely used for skin & hair care treatment. It is also used as natural coloring and tattoo material agent. It provides cooling & astringent sensational action as well as protection against bacteria and fungi. Comprehensive range of Henna Oil that we offer is manufactured using extreme quality of natural herbs as a raw material. These are renowned for soft & shiny hairs with excellent fragrance as well as strengthening the hairs. 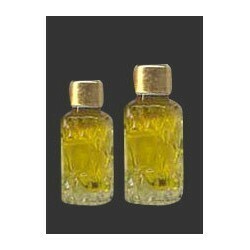 We export these Henna Oils in various parts of the world at competitive prices. 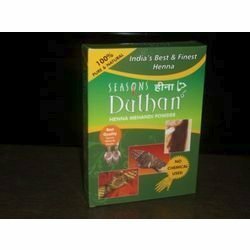 We are the leading manufacturer and supplier of a wide range of Natural Henna that is manufactured using natural dried leaves. 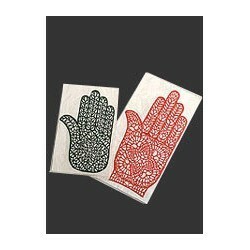 These are widely used for hand and feet decoration. Our pure henna doesn’t include any chemical substance like ammonia or any harmful chemicals. We export these in various countries at leading market prices. India is well known place in the entire world for its herbal wealth. Indian herbs are the most sought after herbs in the world due to their organic quality, purity and lowest costs of cultivation. Himalayas in the north, Aravalis in the southern and central India are the greatest reserves of medicinal reserves in India 'henna' (Lawsonia Inermis, syn. L. Alba) is a flowering plant, the sole species in the genus Lawsonia in the family Lythraceae. Himalayas in the north, Aravalis in the southern and central India are the greatest reserves of medicinal reserves in India. It is native to tropical and subtropical regions of Africa, southern Asia and northern Australasia with an fruit is a dry capsule 6-8 mm diameter, containing numerous 1-2. 5 mm seeds. There is much speculation as to the first origin of the use of henna. Centuries of migration and cultural interaction has made it difficult to determine with absolute certainty where the tradition began. Some scholars claim that the earliest documentations of henna use were found in ancient Indian texts and images, indicating that mehandi as an art-form may have originated in ancient India. 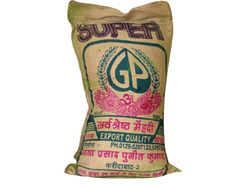 We are one of the esteem manufacturer and exporters of green henna powder. We have sufficient land area, where we use to crop henna and henna products. We have good infrastructure and operational back up for exporting from India. 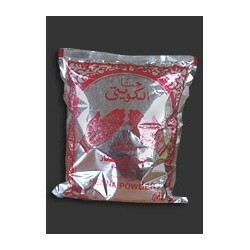 We offer Henna Powder. Henna (lawsonia inermis) is an open shrub with heavily scented, small cream flowers and blue-black fruit. An essence extracted from the leaves is popular and known as henna. Henna leaves yield the famous red dye used as body paint and to stain hair, nails and cloth. it is an evergreen medium sized shrub 3' to 5' or even more, slow growing and compact with dainty, bright green, dense, foliage. If un-pruned, it grows into a tall shrub 2. 5 m (8') and even a small tree. the first recorded user of henna as a hair dye was the egyptian queen ses, mother of king teta (third dynasty). The plant has always popularly been called egyptian henna, although it is found abundantly also in tunis, arabia, persia, india, and other tropical countries. It was commonly used by the inhabitants of all these countries to dye not only human hair but also the nails, the palms and soles of dancers, and the manes and tails of horses. Henna is an ancient art of body decoration, an art practiced as early as the pharoanic civilization of egypt. Evidence suggests that the ancient egyptian pharoes used henna during the mummification process as well as for cosmetic purposes. the word henna has its origin in the arabic word al-hinna. It is known as lawsonia inermis in botanical terms. It is a shrub popular for its leaves and is used to adorn the hands and feet of a bride and is also used to dye hair. The active coloring principle in henna was called lawsone by tommasi, who isolated it in 1916 and determined its chemical construction to be 2-hydroxy-1, 4-naphthoquinone, c10h6o3. Further definitive work on henna and lawsone was done by H. E. Cox. The extract is an orange-red dye, readily soluble in water, dilute alkalies and acids. The true color can be seen best on white hair. Actually, its coppery, carrot-red shade is the same on all hair of any shade, but it seems to impart different colors because of variation in the basic shade. The color of henna is developed best in an acid medium. Henna contains a chemical molecule called lawsone. Though the molecule is colorless by itself, but when exposed to sunlight or air it gets converted to a new compound that has a reddish shade. We offer our clients pure and effective henna powder. With its classic fragrance, the powder is used for cosmetic purpose. Unlike other hair care products, our henna powder is much more effective when used for coloring or conditioning the hair. Apart from coloring the hair, the powder also conditions the hair and gives it a smooth and glossy appearance. Owing to the natural and pure constituency of the henna powder prepared by us, it is also used for decorating the hands with beautiful designs keeping the hands soft and smooth. Mix henna powder with lukewarm water (40oc) and make a thick paste. Allow this paste to sit for 12-24 hours so that the dye releases. Add two/three drops of lemon juice. Comb after five minutes for the paste to reach the hair roots. 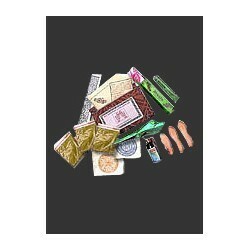 We offer extreme grade of Henna Kit that is widely demanded in various parts of the world. We manufacture this Henna Kit with several products of Henna natural and pure herbs as a raw material that is procured from quality driven vendors. These are widely renowned for excellent results and no side effects. Henna stencils are user & skin friendly as it requires fewer skills. These are used to make incredible & attractive designs. Henna stencils are available in several sizes such as small, medium and large. Larger are used for chest, upper back and lower back while smaller is for armbands, cuffs and anklets. We are engaged in offering superior range of Hair Care Herbal Henna which is manufactured from extreme grade of natural herbal raw material. This Hair Care Herbal Henna is designed for coloring and highlighting the hairs. We do complete quality inspection of this Hair Care Herbal Henna before delivering at the client’s end.